Modelo provides the only high-productivity platform for mission critical, real-time, event-driven collaborative applications that can run anywhere – from the cloud to the edge. But, low-level Reactive programming is complex. The Modelo software development platform dramatically simplifies the creation of real-time, event-driven applications using Reactive in two ways. First, the core Modelo architecture was designed as a fully Reactive platform, meaning it is natively asynchronous, message-based and location-transparent. Second, Modelo’s high-level tools abstract away the inherent complexity of the Reactive programming model for developers. Applications built with Models can use data from external services to build and maintain the current state model that drives subsequent analysis and actions. As the state of the service changes, application actions and recommendations can change in response. For example, a change in a weather forecast could lead to a production schedule change. Also, Modelo application functionality can be easily incorporated into other applications via RESTful APIs. The Modelo platform dramatically simplifies the physical operationalization and management of distributed applications – even those with hundreds or thousands of nodes. 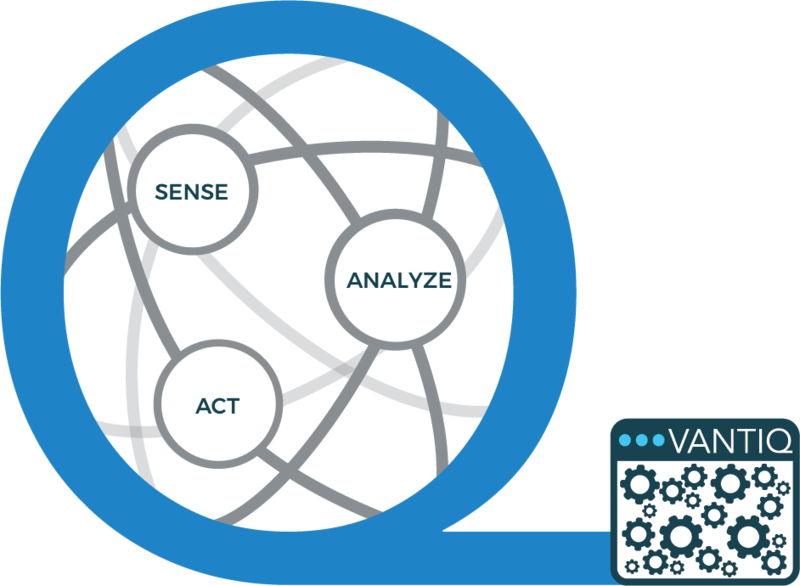 At runtime, all the VANTIQ Nodes work together to act as a single application that senses, analyzes, and acts to achieve the desired outcomes. The system is monitored and managed from the cloud-based Modelo Operations Console, where dashboards provide real-time service-level monitoring. Modelo Nodes can connect to create any desired network topology: stars, trees, generalized peer-to-peer networks, etc. Also, the network topology can be changed at runtime to support changing requirements. 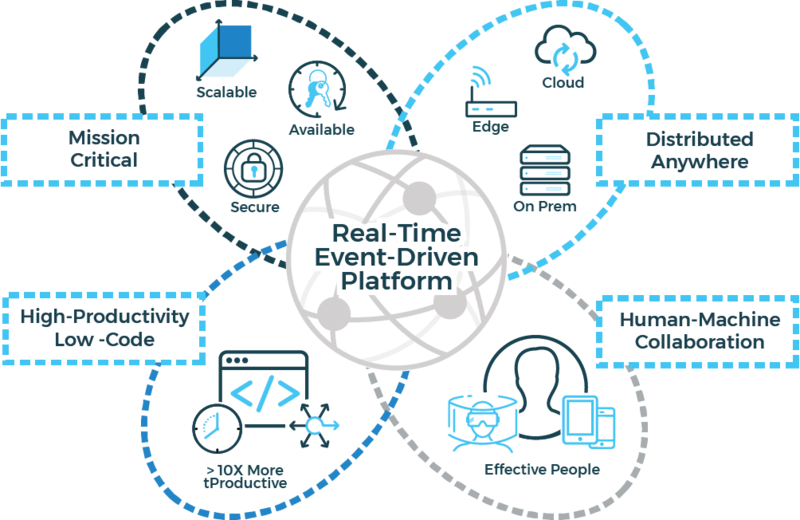 Real-time, event-driven applications must be dynamic to enable new situations and actions to be defined at any time. With Modelo, all application resources are changeable at runtime. Devices, data sources, business rules, analytical models, collaborations, recommendations, user interfaces, external services, microservices, and the network topology can all be changed at any time with no downtime. This unprecedented agility ensures Modelo customers will be able to evolve their applications to keep up with the ongoing and accelerating changes in their businesses.